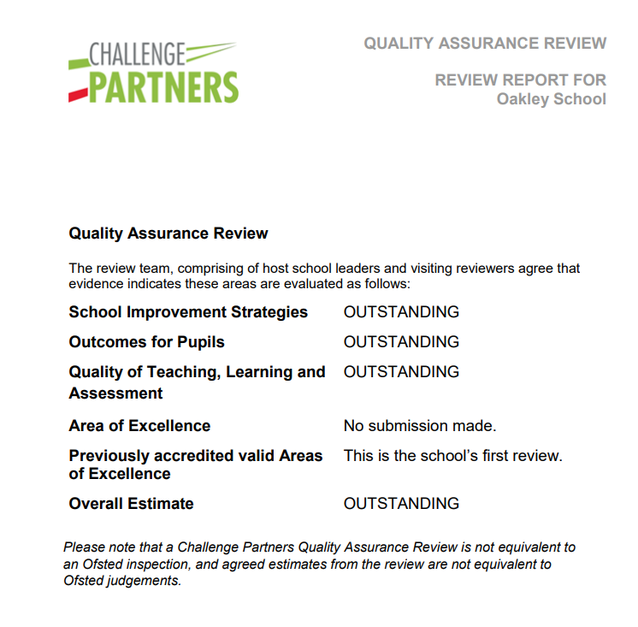 Challenge Partners Quality Assurance Review judges Oakley School to be OUTSTANDING! Challenge Partners is a practitioner-led national network of schools that improves school performance through peer-to-peer challenge and knowledge sharing. 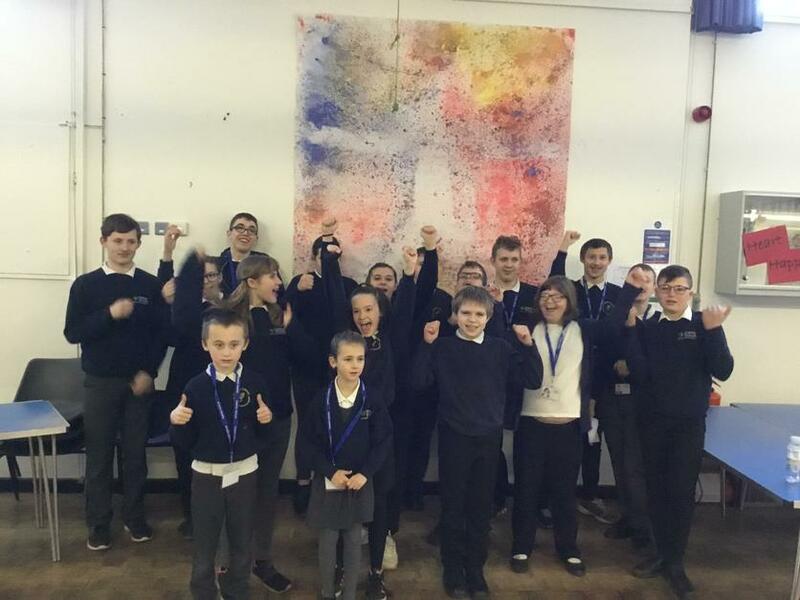 Oakley School joined the network last year and we had our first Quality Assurance (QA) review between 21st and 23rd January 2019. The QA Review is a peer review involving senior leaders from other schools in the partnership. The review has a whole-school remit and focuses on teaching and learning, which enables practitioners to have deep conversations about the quality of learning in the school being reviewed. All outcomes are agreed between the school and the review team as part of an ongoing professional dialogue that seeks to unpick and articulate effective teaching practice and school improvement strategies. The Review was, as the title implies, challenging, but we are delighted with the outcome. However, we are not sitting back on our laurels, as we continue our path of continuous improvement, to be the very best we can be for our children and young people. The Review report (see link below) is best viewed as a summary of conversations between peers during the three days spent in Oakley school. By nature of being a collaborative peer review, the QA Review is different from other external inspections. 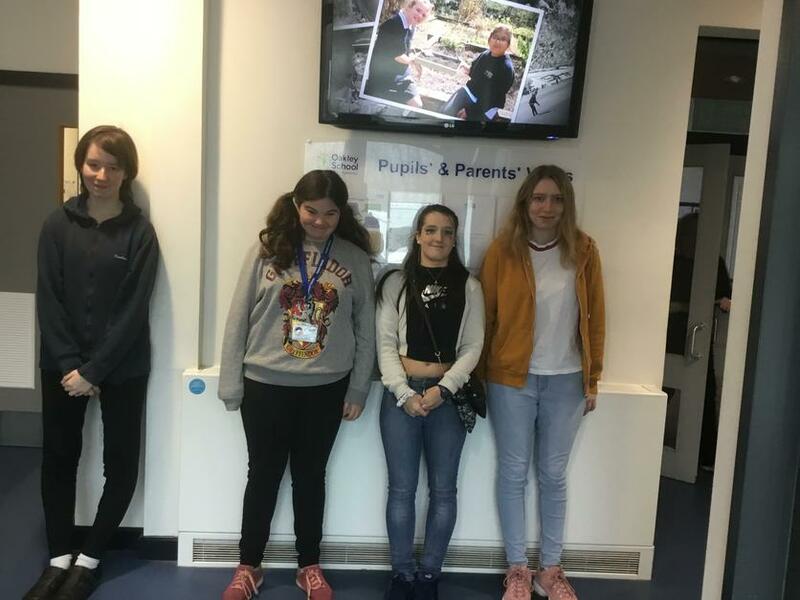 Due to the review’s focus on teaching and learning, the review does not consider areas such as safeguarding or governance and so its outcomes are not directly comparable to an Ofsted inspection. If you would like more information about Challenge Partners, please go to their website: https://www.challengepartners.org or you can e-mail: review@challengepartners.org.